Explore the numerous day-trip ideas around Gold Coast: TankRide (in Tamborine), Brisbane (South Bank Parklands, Lone Pine Koala Sanctuary, & more) and Capalaba (Bacchus Brewing Co. & Ted's Corner). Spend the 25th (Thu) exploring nature at Natural Bridge. Spend the 7th (Tue) exploring nature at Les Rodgers Memorial Park. There's lots more to do: admire nature's wide array of creatures at Sea World Theme Park, browse the different shops at Pacific Fair Shopping Centre, tour the pleasant surroundings at Currumbin Wildlife Sanctuary, and kick back and relax at Surfers Paradise Beach. 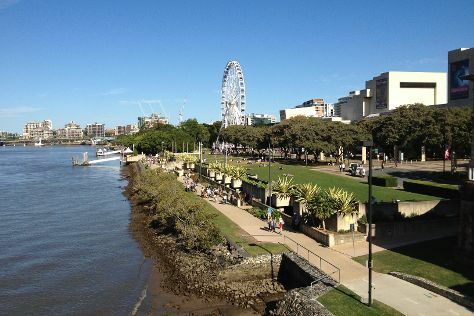 To find ratings, traveler tips, more things to do, and tourist information, read Gold Coast trip itinerary maker website . If you are flying in from Hong Kong, the closest major airports are Brisbane International Airport and Gold Coast Airport. April in Gold Coast sees daily highs of 30°C and lows of 19°C at night. Finish your sightseeing early on the 5th (Wed) to allow enough time to travel back home.